Sure, online shopping is a form of therapy for a lot of us, and when done with caution, it can be a perfectly safe way to cope with negativity and lift spirits. But as this article points out, frequent online shopping can also develop into an addiction that leads to financial trouble. 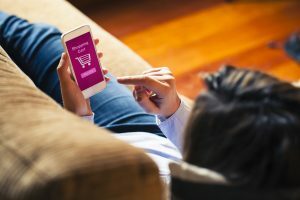 Whether you feel that you’ve developed an actual addiction to online shopping, or you simply want to scale back your online shopping habit, here is a look at some ways that you can curb an online shopping addiction. There are a variety of wholesome activities you can turn to at those times when you need to reduce stress or cope with other strong emotions. Try finding an alternative outlet so your tendency to shop online will fade naturally. Some activities you might consider trying include meditation, yoga, hiking, running, weight lifting, gardening, and reading. Most online shoppers frequent their favorite shopping sites during their down-time, when not a lot of people are around. If this describes you, then one way to spend less time shopping online is to spend more time out and doing things with friends. A lot of us subscribe to our favorite clothing and accessory retailers’ email lists in order to receive emails about the latest promotions and newest products. While this can be a great way to save money by taking advantage of great deals, it can also serve as a major temptation to shop online and buy things that you don’t really need. Try unsubscribing to those email lists, and chances are you’ll venture online to shop much less frequently. If you really want to get authoritative about it, try installing a parental control extension on your browser and blocking those shopping websites you visit most frequently. You can always unblock them later once you feel you’ve gotten your shopping habit under control. Chances are you could pull out at least a few pieces from your closet that you rarely or no longer wear. Consider selling these pieces to a clothing exchange shop, through Ebay, or through a clothing selling service like Thredup or Twice. Not only will you earn some extra cash, but you’ll also get a better idea of which of your past purchases really weren’t worth the money. A lot of impulse purchases can be avoided in the first place simply by becoming a more savvy shopper. Try making frequent use of apps and extensions like RetailMeNot and Honey to find discount codes for your favorite retailers. Decide that you will not make any purchase unless it includes free shipping. Resolve to “sleep on” every purchase you’re considering, waiting 24 hours or even a week or more to decide whether you truly want to make the purchase. With the rise of social media, fashion trends surely aren’t what they used to be. While fashion trends used to be dictated largely by traditional forecasting houses, now it seems that social media has taken over the reigns in dictating fashion trends. But even with that said, it’s important to remember that fashion retailers continue to promote new trends in their marketing, and they will always continue to do so. The reason behind this is simple: it keeps consumers wanting new products. 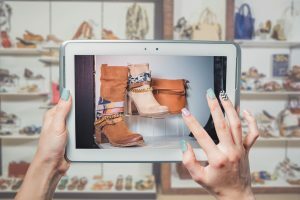 So while you might be tempted to buy a new top or a new hat in order to keep up with “the latest trend,” keep in mind that trends are, on one level, a means by which fashion retailers keep you engaged as a consumer. There is always going to be a new trend that you want to get in on, and there is always going to be a new piece that you want to add to your closet. So don’t feel like you’re missing out on a major trend on those occasions when you decide not to make a purchase. Of course, some cases of online shopping addiction are best handled with professional help. Organizations like Shopaholics Anonymous can point you to the resources you need to address an especially strong case of online shopping addiction.